Candidates and MP’s from electorates in Melbourne’s eastern region have offered their final take on community legal issues and access to justice crisis. Unlike the Australian health and education systems, there is no universal safety net for legal help. 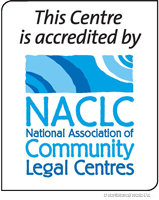 In the context of the forthcoming state election, Eastern Community Legal Centre (ECLC) sought key politicians’ views on the current access to justice crisis. Three politicians responded to ECLC questions about their plans to address the unmet demand for free quality legal help for members of the community in Melbourne’s eastern region who cannot afford to pay for a private lawyer. ECLC is pleased to have received and published a summary of the responses and the individual letters from Shaun Leane from the ALP, John Pesutto from the Liberal party, and Samantha Dunn (EMR) and Liz Hicks (Monbulk) from the Greens. Also see the Greens Access to Justice Plan and Greens Justice Reinvestment Plan. 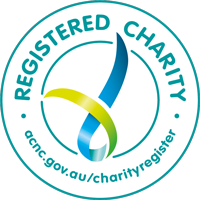 This follows ALP specific funding commitments for legal grants to support vulnerable Victorians announced on Monday 29 October 2018. Despite excellent work from ECLC staff and volunteers, with a population of about 900,000 in the Eastern region, ECLC is unable to meet growing demand. In the last year, more than 6,800 people sought legal help but ECLC was only able to provide advice and assistance to 2,685 people. The ECLC and its partners have shown that early legal help prevents major issues later as well as saving money for government and the community. Rather than endorse any candidate or party, ECLC encourages its community to consider the crisis in legal help and the need for improved access in the eastern region to the justice issues the ECLC has raised and that have been answered by the politicians. The Victorian Council of Social Service (VCOSS) Policy Tracker covers a broader range of health and community service issues that ECLC endorses. ECLC supporters can check out the Justice, courts, fines, policing section and the Family violence sections on the VCOS website.